Remember when scientists first detected the Mediterranean fruit fly in California? It was the early 1980s. 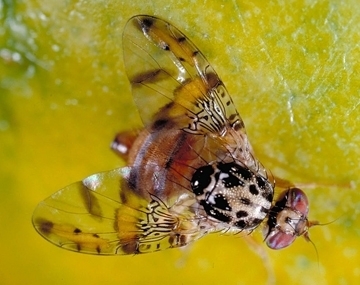 The invasive insect, better known as the medfly (Ceratitis capitata), threatened the state's multi-billion-dollar fruit and vegetable industry, leading to widespread detection, eradication and quarantine attempts. Aerial spraying of Malathion drew widespread protests. 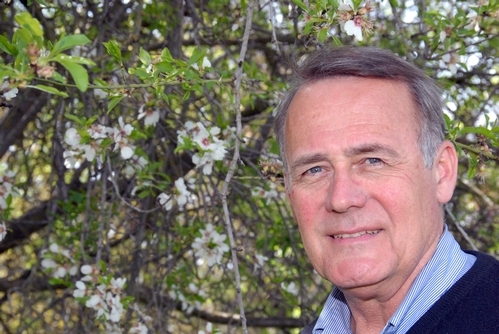 Entomologist James R. Carey of the University of California, Davis, stepped forward to launch an informed, concerted and widespread effort to reveal the science about the invaders. His well-documented research in basic and applied aspects of invasion biology shows that these pests are established and cannot be eradicated. Carey, a distinguished professor of entomology with UC Davis Department of Entomology and Nematology and an internationally recognized leader and distinguished scholar in invasion biology, will appear in a 32-minute interview on the nationally televised Through the Decades program on Monday, July 3. Through the Decades, based in Chicago, is known for covering high-profile or important historical events. It is hosted by Bill Kurtis of National Public Radio's "Wait, Wait...Don't Tell Me." The interviewer "asked about the medfly program back in 80s, my involvement, and I talked a lot about how medfly really has never gone away," Carey related. Tune in on Monday to hear the interview. Link to http://decades.com/wheretowatch/ to find the local program. In California, the show will be broadcast on KFAZ Fresno, KCBS Los Angeles, KOVR Sacramento and KPIX San Francisco. Through the Decades airs daily at 7 a.m., 1 p.m., 7 p.m. and 1 a.m., Eastern Time, or 4 a.m., 10 a.m., 4 p.m., and 10 p.m., Pacific Time. As one of the five members of the state's Medfly Science Advisory Panel, Carey testified in 1989 before the California State Assembly, which later convened as a “committee of the whole” (a high profile public hearing examining the handling of the eradication program) that the pest is established in California and eradication efforts are futile. Carey subsequently wrote two news and review pieces in Science, plus an article on its establishment. 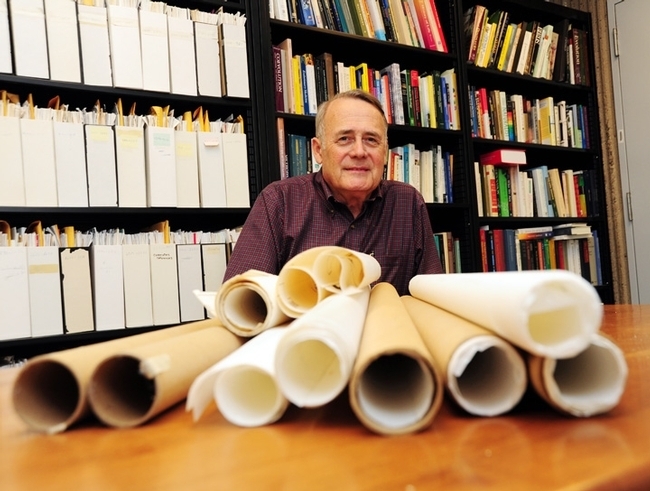 The New York Times' Retro Reports profiled him and his involvement in the medfly issue. The American Entomologist journal, in its "Issues in Entomology," has just published a piece by Carey and colleagues Nikolas Papadopoulos and Richard Plant on "The 30-Year Debate on a Multi-Billion-Dollar Threat: Tephritid Fruit Fly Establishment in California." It begins with: "It is virtually impossible to overstate the seriousness of the tephritid fruit fly threat to the $25 billion California fruit and vegetable industry constituting over half of the overall $47 billion agriculture economy of the state. Consider these facts: a total of 17 different species of fruit flies have been detected in California, several of which are detected every few years and one of which is detected every year (Papadopoulos et al. 2013). More than 350 California cities have experienced fruit fly outbreaks, seven cities (e.g., Fresno, Bakersfield) of which are located in one of the world's most productive agricultural regions—the Central Valley." James R. Carey is used to dissent. 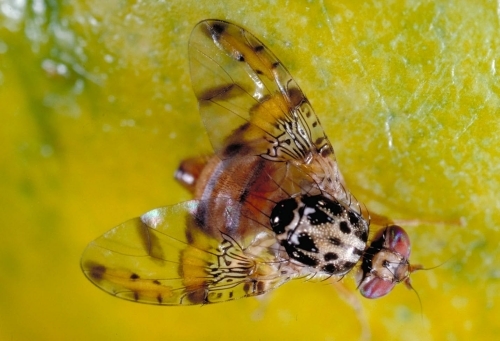 The entomology professor at the University of California, Davis, fervently believes that the Mediterranean fruit fly and light brown apple moth, two exotic and invasive pests, have long been established in California and cannot be eradicated. Trying to eradicate them, he says, is like "throwing money down a rathole." Check out the current (Jan. 8th) edition of Science Magazine and read the three-page NewsFocus piece headlined "From Medfly to Moth: Raising a Buzz of Dissent." This is sure to garner a plethora of comments, concern and criticism. This is about as high-profile as it gets in the scientific community. And this is not the message that the California Department of Food and Agriculture (CDFA) is trying to get across. 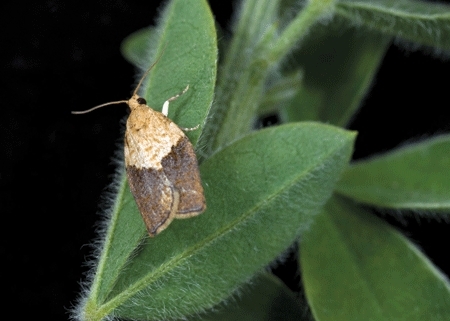 (See CDFA's Web site on the light brown apple moth). Carey, a Fellow of the American Association for the Advancement of Science, just completed a term as the chair of the UC Systemwide Academic Senate University Committee on Research Policy. He also directs a federally funded program on lifespan and aging; the program just received a $3.4 million grant renewal from the National Institute on Aging. "James Carey is at it again," began writer Ingfei Chen of Santa Cruz. "In the early 1990s, as a scientific adviser in California's unpopular pesticide-spraying war against the Mediterranean fruit fly, the entomologist vocally charged that the state's program was fundamentally flawed. Bucking conventional wisdom, Carey claimed that the Medfly was already established, defying the eradication attempt." Fast forward to February 2007 and the discovery in California (Bay Area) of a new invasive pest, the light brown apple moth, a native of Australia. Aerial spraying of a pheromone resulted in a "red-hot-public ruckus, forcing the state to shift to a plan to release zillions of sterile moths...And once again, Carey has surfaced as a relentless voice of dissent," Chen wrote. Carey insists it can't be eradicated, that it's here to stay and we ought to focus on pest management, not eradication. What's next? Michael Parrella, professor and chair of the Department of Entomology wants to organize a spring conference "to reexamine the invasive species-policy paradigm from to bottom," Chen wrote. "The goal," she wrote, "is an open dialogue with major stakeholders," including the U.S. Department of Agriculture and CDFA. Carey told us today that Parrella plans to meet with him and a group of other entomologists next week to discuss the proposed workshop. "It would be nice to think we could sit down and discuss things," Parrella told Chen in the Science Magazine article. "It's not us versus them." “The war is over—again,” wrote reporter Pat Brennan of the Orange County Register in a news article published Aug. 14. Brennan was referring to the war against the Mediterranean fruit fly, a tiny pest that targets some 260 crops. The pest, first detected inCaliforniain 1975, prefers such hosts as peach, nectarine, apricot, avocado, grapefruit, orange and cherry. It is considered the world's worst agricultural pest. California State Department of Agriculture had earlier announced the eradication of the medfly in three counties:Los Angeles, Solano andSanta Clara.If it were to become permanently established in California, the medflycould cost the state $1.3 to $1.8 billion in annual losses, estimated CDFA Secretary A. G. Kawamura. I remember whenSolanoCountyag officials discovered four live medflies in a single trap in downtownDixon. The date: Monday, Sept. 10, 2007. Newspapers bannered the story. A quarantine ensued. Farmers fretted, and rightfully so. Later I attended a press conference at theNutTreeAirport, Vacaville;a pilot had just released the first of many millions of sterile male fruit flies over Dixon. He showed us the sterile medflies, dyed pink. The sterile flies mate with wild flies and biologically force wild populations out of existence, the CDFA says. UC Davis entomologist James Carey, who has published widely on the medfly, said the pest has been multiplying and spreading undetected--like cancer--for years in California. He says it’s never been really eliminated and he questions whether it could ever be eradicated. CDFA and Solano County ag officials said no; that an errant tourist likely brought it to Dixon on a piece of fruit fromHawaii. The medfly lays its eggs inside fruit. “The absence of medfly appearances anywhere else in the continental U.S. besides California over the past two decades strongly supports the argument that the medfly has never been completely eradicated in our state. CDFA's efforts at eradication have been successful at driving the populations back to subdetection levels for a few years. However, the reappearances of the medfly in the same cities and even in the same locations within these cities is due to a long-term established population. Although I fully acknowledge the need to respond to the medfly when it appears in the state as it did last year, I have no reason to believe that this program will have been any more successful than the previous ones which merely suppressed rather than eliminated the medfly population from the state." The CDFA Web site says medflies are not established in California. "These (medflies) and other exotic pests have not become established in California due to (1) strict federal exterior and state interior quarantines, (2) a pest detection program, and (3) aggressive eradication programs when an infestation is discovered."